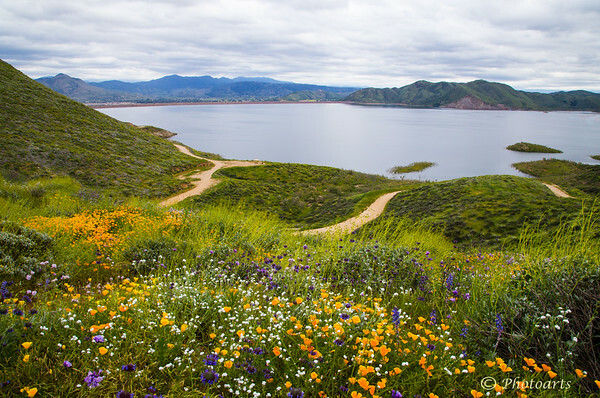 Spring flowers bloom in full force above Diamond Valley Lake near Hemet, CA. Excellent spring shot. A lot of flowers ! Really beautiful scenery, especially with the wildflowers !! Very nice composition !! This is a great view of Diamond Valley Lake--the wildflowers are wonderful. Love the use of the foreground, beautiful landscape! Wonderful that you included the wildflowers for foreground interest! Gorgeous shot, this is just lovely! Gorgeous, love all the wildflowers blooming in the foreground!